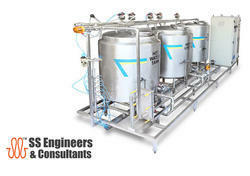 Leading Manufacturer of mini dairy plant, milk processing plant and machinery, milk dairy storage tanks, paneer vat, rmrd equipments milk plant and dairy pipe line erection work from Rajahmundry. 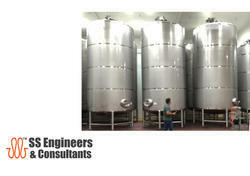 SS ENGINEERS is capable of handling Dairy projects, from expansion to turn key. 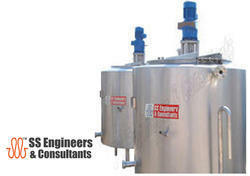 When starting a dairy factory or increasing the milk capacity of current processing plant, it is not just a matter of buying new equipment there are many issues which have to be dealt with.at SS Engineers & Consultants, we offer custom designed Milk Process plants, equipments to meet specific production requirements of the investor.all the equipments are manufactured in-house with strict quality adherence. Can Roller Conveyer, Can lid Opener, Weighing Scale, Weigh Bowl, Dump Tank, and Milk Pump are extensively used in dairies for primary entry point of liquid milk. Manufactured using High quality material and the latest technologies, these are corrosion-resistant and rust-free, therefore milk is not contaminated. 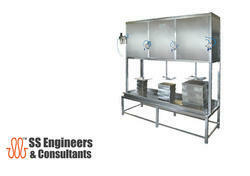 SSEC Dairy Equipents are tested against quality parameters. 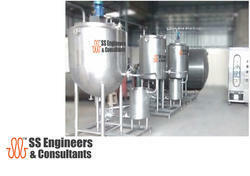 SS ENGINEERS India's leading manufacturers of high-quality Stainless Steel Dairy Pipeline Products. 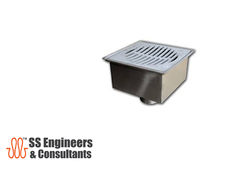 Our product range is manufactured under the management of skillful experts by using satisfactory quality of stainless steel and modern technology is being used in the making of these products. 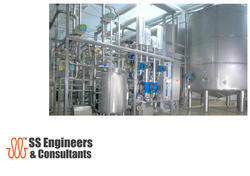 SS ENGINEERS provide our customers with highly efficient Ghee Plant which helps in extraction of ghee. The process includes melting of butter or cream, separation, clarification, filtration, cooling and then its packing. Available in different capacities, these can be customized as per the clients requirements. 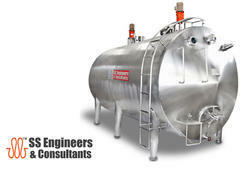 We manufacture and export the premium quality of Storage Tank Horizontal. 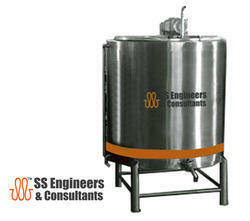 For storage of various foods, chemicals and pharmaceutical products, the rendered storage tank horizontal is used. High load carrying capacity, sturdy construction and resistance against leakage, makes the storage tank highly demanded in the market. This product is used for floor cleaning. Water is being hit by steam and pressure of steam will help to clean the floor. NRV and ball valves will be provided for steam and water. Barrel, mounting plate and pipe hanger are made from SS 304. Size with ½ BSP and ¾ BSP are available. 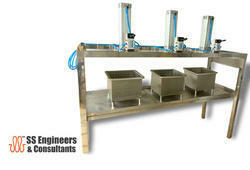 The CIP Equipment is used to clean at site of material pipe of the industries like milk products, juice, beverage and etc. and recipients a centrifugal pump which is used in CIP to convey cleansing liquid into material pipe and equipment recipients to force. 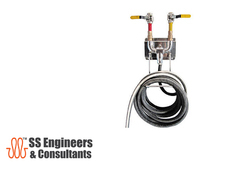 The cleaning liquid to circulate to make cleaning without taking apart pipes or equipment with the system, the equipment availability can be improved and intensity of labor lessened. 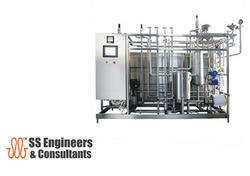 We are a renowned organization that is engaged in manufacturing and supplying precisely Ghee Making Plant. 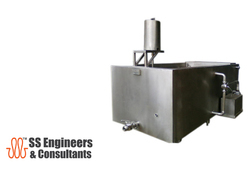 The Dairy Processing Plants manufactured by SS Engineers are suitable for processing various types of dairy products i.e., milk, ice cream, flavored milk, curd and other products. 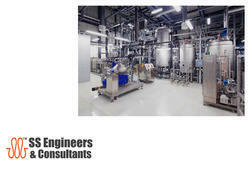 We provide customized, highly energy efficient turn-key projects. 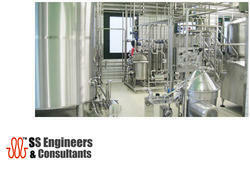 We are a renowned organization that is engaged in manufacturing and supplying precisely Butter Melting Vat.